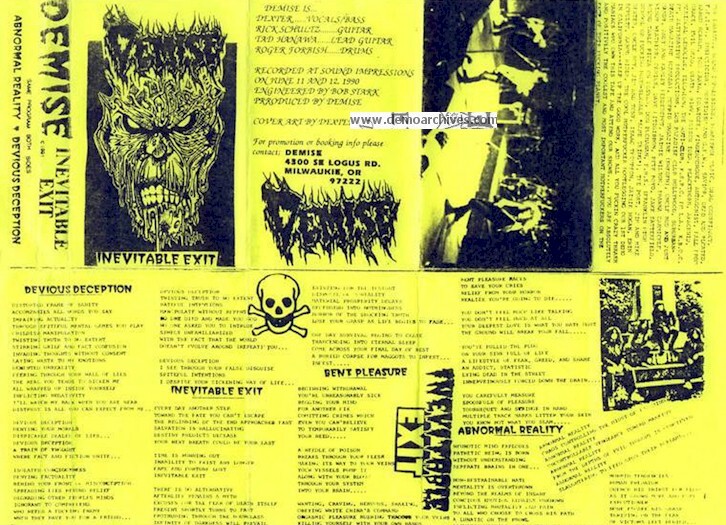 Death metal band from Portland, OR formed around 1988 and released two demos. A EP was released in 1992 before disbanding. Xeroxed covers. Has lyrics. 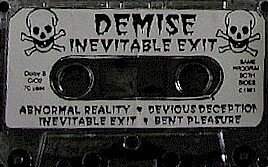 Tapes vary. Xerox fold out covers. Has lyrics. Tapes varied. First of two versions. Xerox fold out covers. Has lyrics. Tapes varied. Second of two versions.